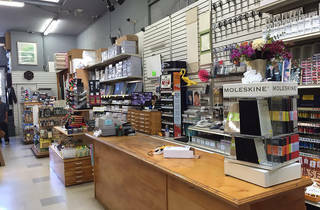 An easy-to-miss storefront in an unassuming stretch of Koreatown, Tops is a fine arts supply store with a crafty bent. After being buzzed into to the two-story space, you’ll see tons of canvasses, easels, brushes and paints. The second floor contains fine papers in white, colors and bright patterns. There is a large selection of Japanese brushes, scroll paper and ink, and a dedicated craft section towards the back filled with unpainted models and sculpting tools. 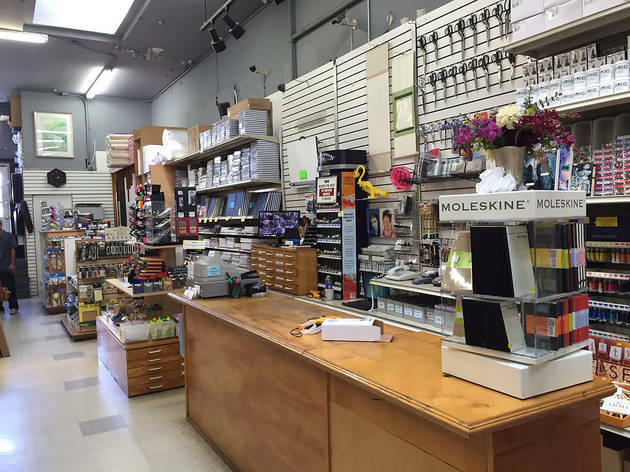 There is also an excellent selection of printing materials, both for blocks and screens, and the attentive staff is eager to help customers find whatever they are after.